Playing a sport we love is a great way to stay active. Regardless of what sport we do, however, we need to complement it with body conditioning. This is because while many sports have numerous benefits they all have their shortcomings when it comes to addressing the needs of our body. Our body is designed/evolved to move in several planes. 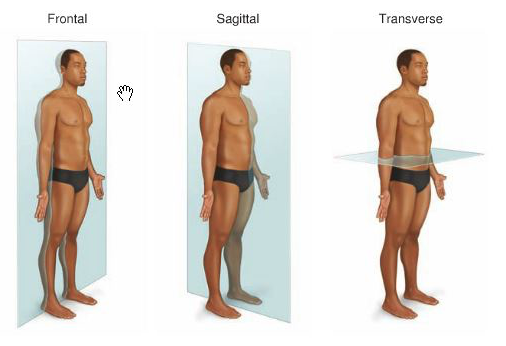 We can move forward and back (sagittal plane), sideways (frontal plane), or rotate (transverse plane). We can also bend forward (flexion), arch back (extension), or lean sideways (lateral flexion). Our arms and our legs, on the other hand, are connected to our torso via ball and socket joints, allowing our limbs to move 360 degrees in all directions (circumduction). To keep the body healthy, we need to move it naturally, the way it is meant to move. We need multiplanar, multidirectional movements in addition to flexing and extending the body. This is where most sports fall short, as many move in limited planes or directions. What this means is that many sports do not enhance our full mobility. Certain muscles and joints get more emphasized than others, creating imbalances. We are only as strong as our weakest muscles, because they are all chained together through fascia, or connective tissues. As we compensate weak muscles by overusing stronger muscles, the latter can become tight, painful and become injured more easily. Also, if we don't regularly engage our joints to perform their full range of motion, we will get deposits build up which make them stiff. Similarly, the fascia around the neglected muscles will also harden from a relative lack of use, potentially creating pain. Swimming, on the other hand, engages the whole body without impacting the joints. Like beach volleyball, it is also one of a few sports that allow us to bare our feet and to move them freely. By swimming different styles we can move our body and limbs in multiple planes and directions. Yet since swimming is antigravity, it doesn't stress and strengthen our bones, nor does it engage and hone our sense of balance. In addition to the other aspects we just discussed, not all sports engage both our fast and slow twitch muscle fibers. Sprinters engage their fast twitch muscles while marathoners rely on their slow twitch fibers. Since our body adapts to the demands placed on it, what we don't use, we lose. Many sports require strength in addition to speed, agility and power. Yet without flexibility, we won't have the other attributes, because they all go together. If we play tennis with a tight and inflexible body, for example, we won't be able to contract our muscles to move with speed, strength, or agility. Nor can we serve with force. To keep playing our favorite sports, therefore, we will need regular conditioning to ensure our body is flexible. This not only enhances performance but also reduces the risk of injury. How Much Full Body Conditioning Do We Need? These are what we regularly do in every Essentrics workout. Because of its comprehensive benefits, Essentrics is beneficial both as a standalone program and as a complement to all sports. Generally if we are very active we should devote at least one-fifth (or 20%) of our active time to body conditioning. If we play five hours of tennis a week, for example, we should do Essentrics for at least an hour a week. If we play golf for ten hours a week, then devote at least two hours to Essentrics. This will ensure that we can enjoy our favorite sports safely, and to do them in top form!